Dottie and Omar Rivera rent this home at 326 Jefferson Ave. in Pottstown, Montgomery County. The Riveras are suing the borough over rental inspection laws, alleging municipal officials don't have the right to enter their home without probable cause. The Pennsylvania Constitution, a document older than the country's founding papers, is being violated in Pottstown, according to a couple who enjoys their privacy. Dottie and Omar Rivera have sued the Montgomery County borough, and cited at the top of the civil lawsuit is Article 1, Section 8 of the document that protects people in their houses from "unreasonable searches and seizures." The gist of the Riveras' complaint: the local government wants to inspect their rental home to ensure housing-code compliance, but they've allegedly given no specific reason for wanting to do so. In 2015, Pottstown approved new rules requiring biennial inspections of every rental unit, with every unit subjected to an inspection before Dec. 31, 2017. According to the lawsuit, before a scheduled inspection of the Riveras' home earlier this month, the couple wrote a letter to Keith Place, director of licenses and inspections, informing him they wouldn't voluntarily allow the borough to come inside and look around. They’d need to get a warrant. So Pottstown did. In its request for a search warrant to inspect the Riveras' two-story, colonial home, the borough cited compliance with the 2015 ordinance as its only probable cause. The warrant was granted by a Montgomery County judge despite no evidence of potential housing code violations, the suit claims. When asked for comment, a spokesperson for the borough referred PhillyVoice to its attorney, who said she does not comment on pending litigation. Rob Peccola, an attorney with the Institute for Justice, which is representing the Riveras, paints those administrative warrants as free passes for the local government to enter homes without probable cause. 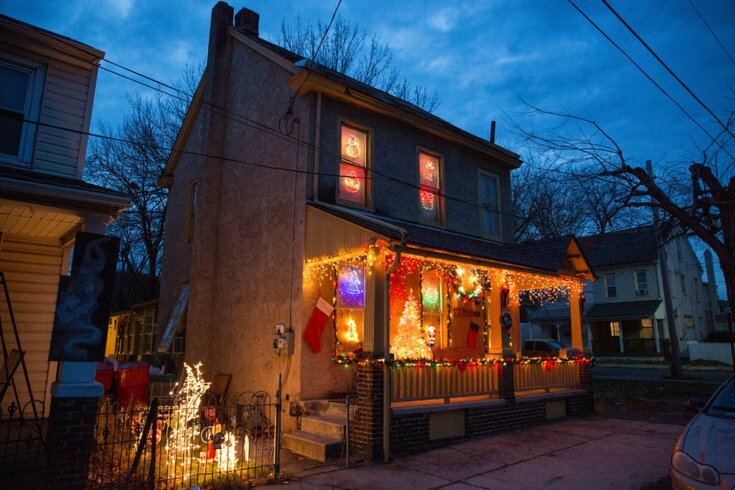 "Oftentimes the warrant application will just say inspection pursuant to whatever code," but without "showing that anything is wrong with the home, or that there's any suspicion whatsoever," Peccola told PhillyVoice. The Riveras have lived in Pottstown their whole life, and have rented from their current landlord, Stephen Camburn, for about five years. Peccola said they don't have anything to hide, but they have five kids at home, and don't want "strange men coming in and poking around." "The only people who are invited into that home are family, friends and the landlord when something needs to be fixed," Peccola said "That's it." What's even more concerning, according to Peccola, is the lack of restrictions on who can accompany inspectors — for example, a police officer without a warrant of his or her own. "There's nothing stopping them from coming in, finding evidence and using that evidence against them," he said. Peccola went out of his way to note that the plaintiffs have no issue with inspections if there is legitimate probable cause of possible violations, or if the tenants or landlord request the inspection. The suit, which names Place and the borough as defendants, seeks to deem the rental inspection laws unconstitutional, force Pottstown to provide more traditional probable cause to obtain future warrants, and damages of one dollar. Place didn't respond to a request for comment on more general questions regarding rental inspections. When the new ordinance was passed in 2015, Place did respond to landlords who criticized the regulation saying renters were being treated differently than homeowners, who aren't subject to inspections. Place said landlords are "running a business" and need licensees that require inspections just like any other business, according to The Pottstown Mercury. The Riveras and the IFJ will be seeking an outcome similar to a recent federal ruling in Ohio that deemed the city of Portsmouth's rental inspection law — which "authorizes warrantless administrative inspections" — unconstitutional. IFJ is shooting for a breakthrough by way of a statewide decision with its lawsuit, filed in the Court of Common Pleas of Montgomery County. The Pennsylvania Supreme Court uses other states' supreme court opinions as a factor when hearing cases, but one hasn't been delivered on the issue of mandatory rental inspections in any of the other 49 states. A favorable ruling in the state's highest court would effectively nix other laws in municipalities like Reading and Lancaster that allow for administrative warrants as means to inspect a rental property, Peccola said. "The goal is to get it to the Pennsylvania Supreme Court, because they get the last word on this."